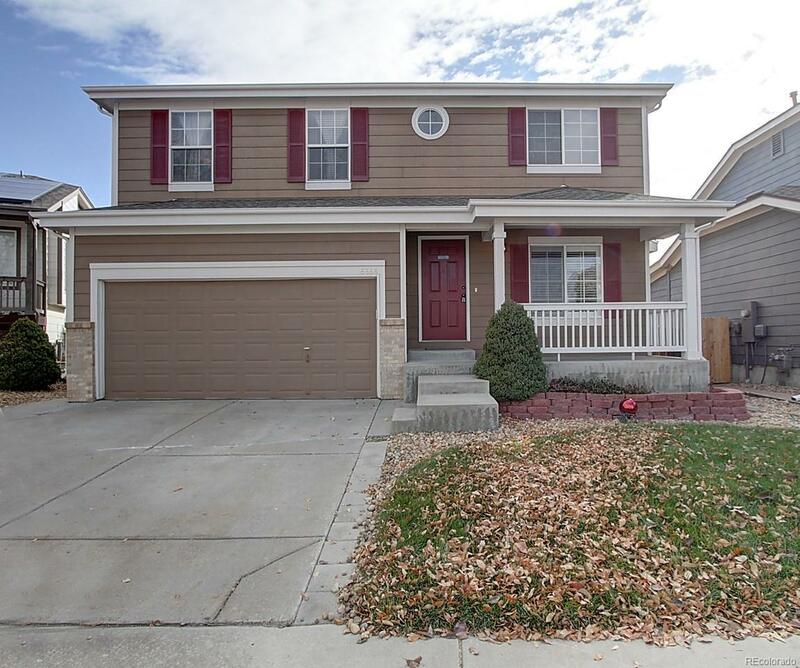 Fantastic single-family, 2-story with finished basement in Parker! Your future home offers 3 bedrooms +Loft, and 3 bathrooms. Main level has Living Room, and eat-in Kitchen. Kitchen features tile countertops and stainless-steel appliances with large dining area. Laundry Room updated with lots of cabinets for additional storage! Upper level has 3 bedrooms, including the Master and a private 5-piece bathroom with walk-in closet. Loft is perfect for a casual office, kidsâ playroom, or media room! Finished basement offers Family Room and rec room! Entertain friends and family in the back yard-grassy area for kids, fenced mulched area for pets, and concrete patio for the grill and patio furniture! Central A/C and Energy efficient Whole House Fan! Newer water heater and sump pump! Great home! Great Parker location! Community includes a swimming pool, basketball courts and community playground. Also, within walking distance from from Cherry creek trail. Call now!